Royal Enfield continues 2016 with a strong sales performance and posted sales of sales of 48,604 motorcycles in combined domestic wholesale and exports in May 2016 recording a growth of 37% over same period last year. This year, Royal Enfield Himalayan Odyssey introduces an all women’s edition to be flagged off from New Delhi on 9th July. This is a call to all the women riders seeking their rendezvous with adventure! Women riders can register themselves at Royal Enfield’s official website from anywhere in the country, to be part of the history – The first ever Himalayan Odyssey- Women (HO-W). 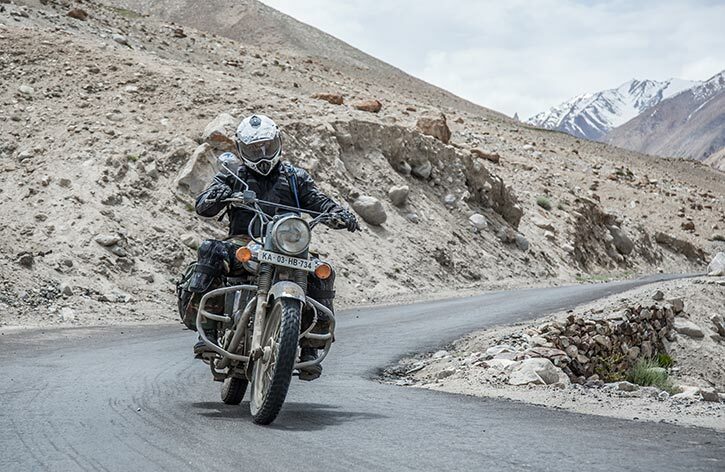 The 17 day adventure ride will traverse 2200 kms in some of the roughest terrains and highest mountain passes. Powered by STRE (She Travels on a Royal Enfield), a community of women motorcyclists who ride a Royal Enfield across the globe, the maiden edition of Himalayan Odyssey – Women (HO-W) will see the passion driven contingent ride the ‘holy grail’ of motorcycling from July 09, 2016- July 23, 2016. Apart from the participants, the entire HO-W team will comprise of women i.e. service staff, technicians, doctors and crew will all be women. Both men and women contingents will be flagged off from Delhi together while they will ride on different routes before finally converging at Leh, Ladakh. The annual ride is an opening for those who seek to look beyond the obvious and venture into the unchartered territories exploring one of the most challenging terrains in the world. Royal Enfield Escapade is an opportunity to disconnect from the mundane and find comfort in the uncomfortable. It is a perfect gateway to meet and bond with enthusiasts who share the common passion of riding a Royal Enfield motorcycle. This year, Escapade promises a fun filled weekend outdoors, camping out, bonfire nights mixed with riding through the scenic hills of Western Ghats. Escapade offers a much needed rejuvenation to the tired mind and soul of the urban rider and tt seeks to strengthen the bonds between man, machine and terrain.